Have you ever seen a picture of a silk press and wondered not only what products were being used but also what kind of flat iron was used? Or, have you ever bought a flat iron for your hair and the results it gave you were not quite what you were looking for? Well look no further! 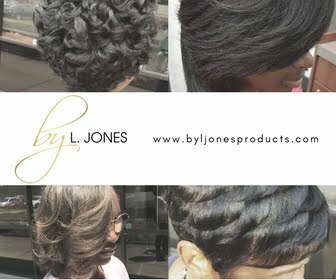 The Toi (pronounced like toy) by L. Jones flat iron is from my very own line and works wonders on black hair. Really, it works great for anyone but there are a lot of black women, especially those who are natural, who have very thick and coarse hair that need a flat iron that is remarkably effective in straightening the hair. 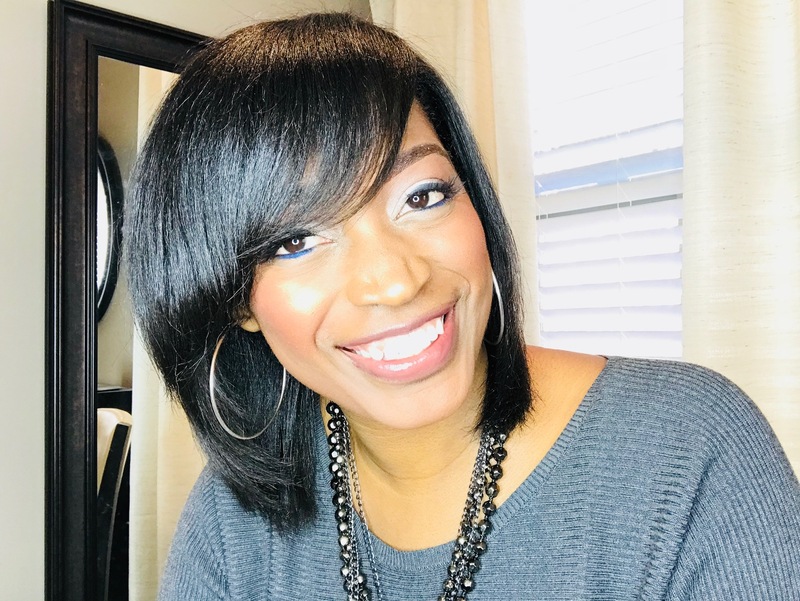 I have been testing these flat irons out for over six months to be absolutely certain that they were up to my standards, which are very high when it comes to my client's hair. 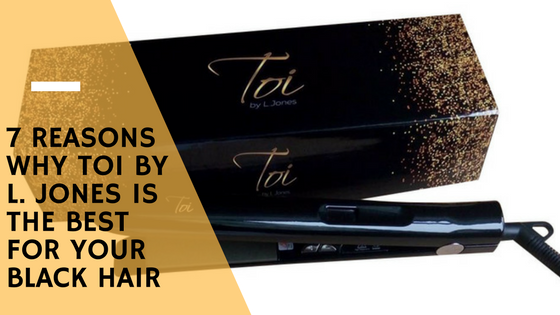 Today I will give you the top seven reasons why the Toi by L. Jones flat iron is the best for your black hair. They go up to 480 degrees Fahrenheit- The Primo 1 inch flat iron is the first to go up to 480 degrees. Most hair straighteners go up to 450 but sometimes you may find yourself going over your hair with several passes before it looks good to you. With the Primo, you are able to go up higher than 450 when your hair needs a little more heat. One pass- You can achieve the style you want and receive NO heat damage with only one pass. That means no burnt smelling hair, and no heat damage. 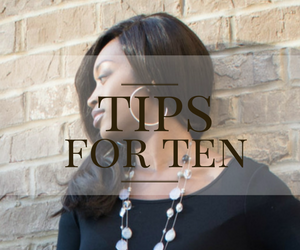 One pass means you can avoid going over the same section of hair fifteen times which is never a good thing for your hair. 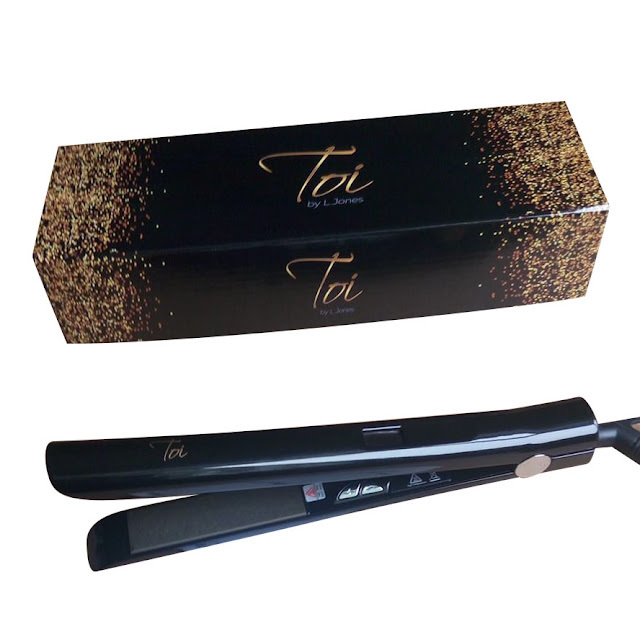 Titanium plates- The titanium plates plates transfer heat from the plates to your hair faster. Titanium is also very durable so the plates do not crack if dropped (trust me, I know this for a fact! ), and it is light weight so it is much easier to handle. Rapid heat up- The temperature can reach up to 480 degrees in less than one minute. This is great for if you are on the go and do not have a lot of time to waste while you wait for your flat iron to heat up. Automatic shut off- The Primo flat iron is set to cut off automatically after one hour but this can be adjusted to 65 min, 70 min, 80 min, all the way up to 120 min (2 hours). It can also be adjusted to not cut off at all until you manually cut them off or unplug them. You have options! Auto shut off is good for if you ever forget to turn them off because at the allotted time they will shut off on their own which also saves energy. 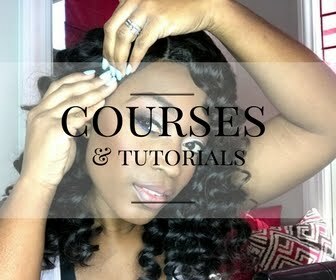 Floating plates- Have you ever flat ironed your hair and it snagged? With floating plates there is no snagging of the hair! Adjustable heat temperature- You can adjust the temperature to get as hot as you need it to get for safe usage. This is better than just having just an on and off button because you are in control of how hot the unit gets. 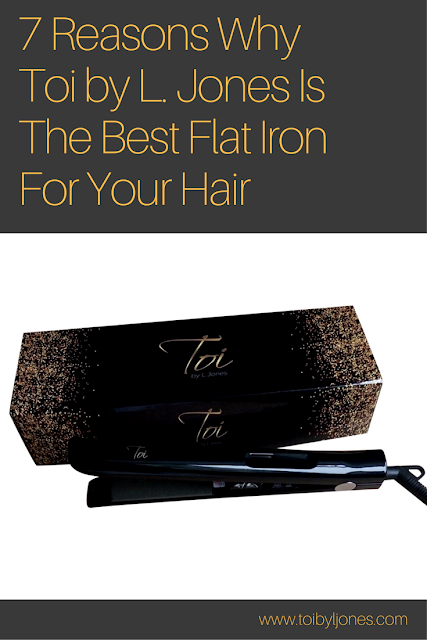 As a professional hairstylist, I have used my fair share of flat irons and I can say for sure that this flat iron will definitely take your hair to the next level. I am very proud to put my name on these flat irons and I am ready to share them with you! When's the blowdryer coming out?